5149 Springborn Road China Twp, MI. | MLS# 217059283 | Marine City and Algonac homes for sale,Westrick Real Estate One 810-765-8861, Marine City MI Homes,Real Estate Marine City MI,Homes for Sale Algonac,Algonac MI Agent, Home for sale St. Clair MI,St. Clair Homes for Sale,Property Marine City, Algonac Homes. 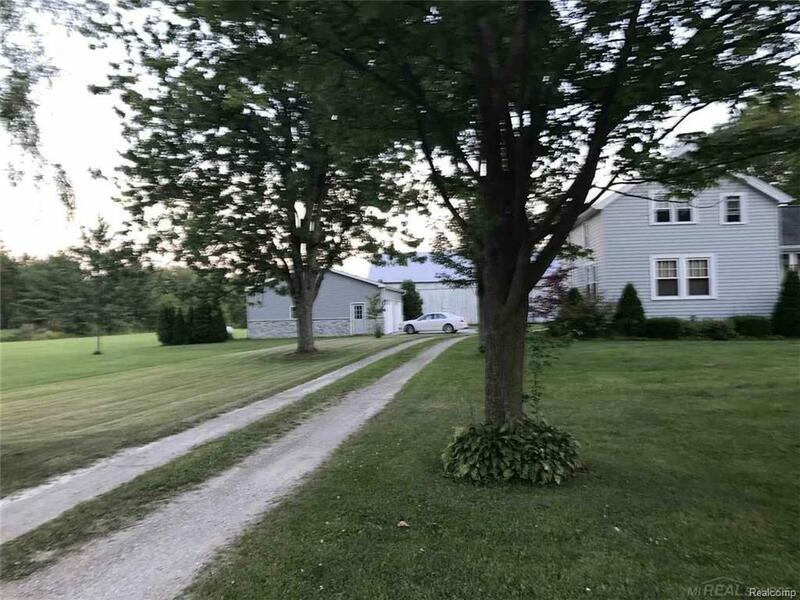 China Township, Immaculate, Updated 3 bedroom Farmhouse on 10 Acres. Updated kitchen and appliances, wood floors in living and dining room. Enjoy the peace and tranquility that this property has to offer. 20 x 40 detached 4 car garage that is heated, 220 electrical. 2 additional barns on property (has old horse stalls that could still be used). Crown molding, new lighting fixtures, new water conditioner system there is an $81 month payment and the system includes new reverse osmosis for drinking water; new carpet on stairs and upstairs, just completed new sump pump line. Seller relocating. Michigan basement has laundry area and lots of storage.